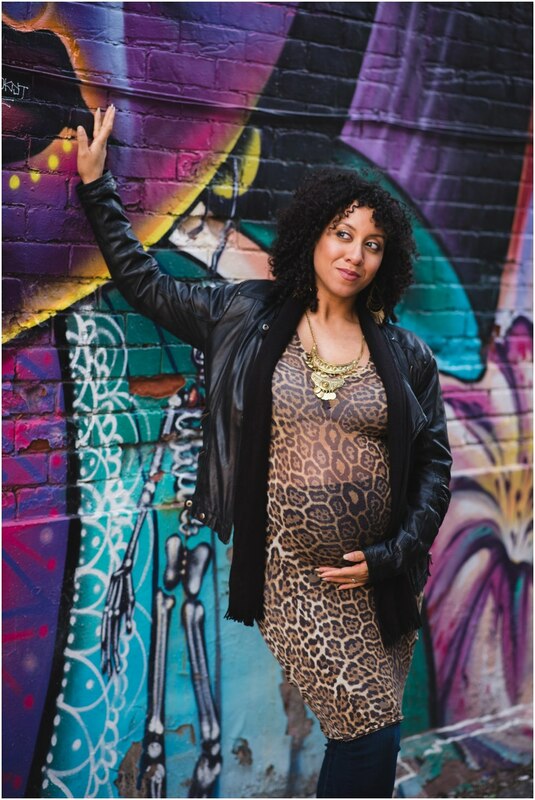 While capturing maternity photos for Saffi and Adam along Graffiti Alley in Toronto I fell in love with the streets of this city all over again. One of the things I love most about photography is connecting with people. If we find the right setting that suits them, we can really show their personalities jump through the photos. 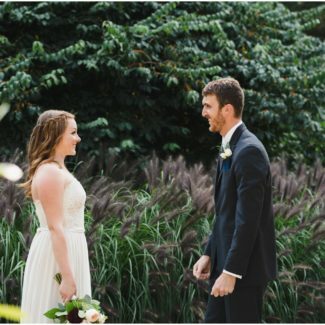 I captured Adam and Saffi’s wedding, and had an awesome time reconnecting for their maternity photos. 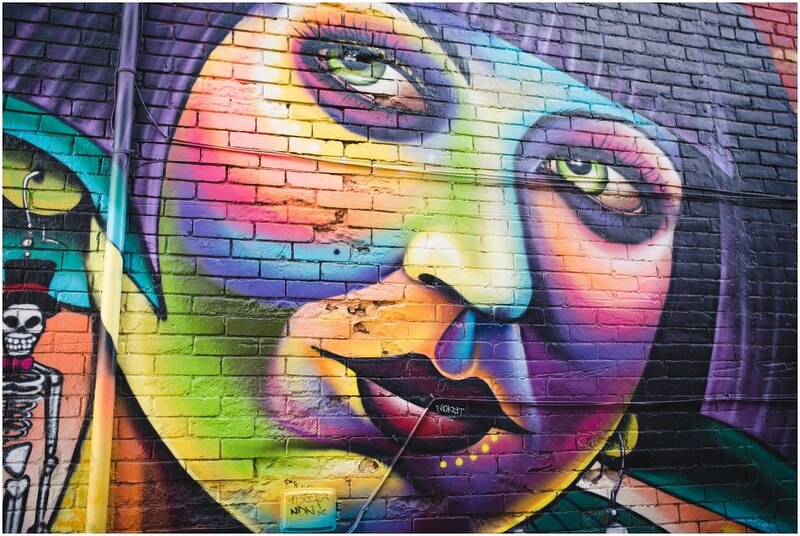 We visited #graffitialley to capture colourful, and bold photos. I love the urban feeling of the session, and how they completely rocked it! As a photographer I feel so lucky to have the canvas of Toronto alleyways. It allows for a seemingly endless number of possibilities. And the beauty of these artworks is that it is so fluid and changing. We get to capture this brief moment in the evolution of the graffiti in our city. Not only did Adam, Saffi, and myself get to explore and experiment while we shot their maternity photos, we also feel like we captured a small time capsule that will travel with them as they continue their journey together. 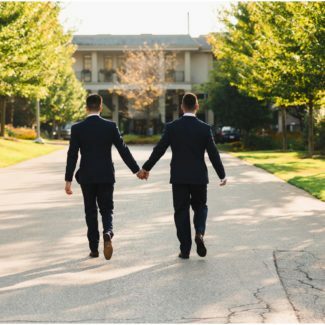 Looking for fun and colourful shots to capture your special moment? 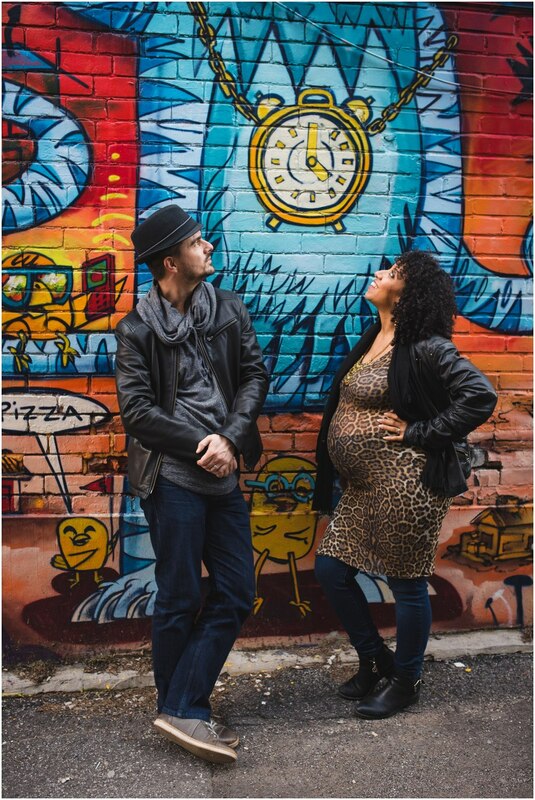 As we wrapped up these maternity photos for Saffi and Adam along Graffiti Alley in Toronto, I realized I could shoot in #graffitialley everyday. I feel such a debt of gratitude to the countless great artists that help build these beautiful tapestries for our city. If you are looking to capture a special time in your life, from an engagement session to maternity shots, and want them brightly coloured and fun, let’s talk!